Between 2006 and 2010 Task Force Uruzgan, as part of the ISAF mission, conducted military operations in a hostile environment. 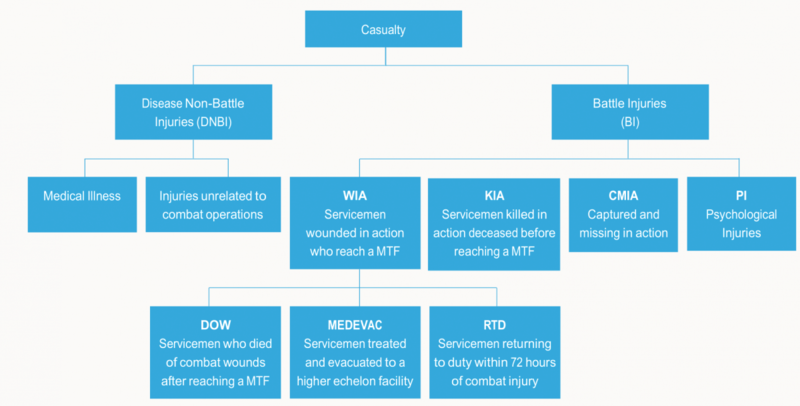 This article describes the multifactorial influences of armed conflicts and the direct consequences for combat casualties. It is based on the thesis Task Force Uruzgan, Afghanistan 2006-2010: medical aspects and challenges. Therefore, it focuses on the recent conflicts, the Dutch involvement in Uruzgan (Afghanistan), the evolution in military medicine and the current challenges. We need to draw lessons from previous conflicts to keep the morbidity and mortality of battle casualties as low as possible. It is essential to develop lessons learned from the presence in Afghanistan. A good friend of our family recently gave me an article about the experiences of a nurse (close relation) during the battle of Caen (1944). Her experiences and challenges are by now almost seven decades old, but still very current. In addition to the required military tactical skills and medical competences, this fascinating in-depth description of the hardships in a hospital during an armed conflict shows that: the mental and physical resilience of casualties and their colleagues is vital for survival; military medicine has no fixed golden standards. Current practices are subject to a continuous process of adaptations, dictated by recent experiences and developments; injuries sustained in armed conflicts differ from those seen in civilian trauma. The last two items are described extensively in recent literature. What we learn from this, is that Armed conflicts are part of our history and are likely to be part of our future. And: Civilian medicine is not similar to military medicine. With the above statements in mind, we need to draw lessons from previous conflicts to keep the morbidity and mortality of battle casualties as low as possible. As such, we need to develop lessons learned from the presence in Afghanistan. This article analyses the military medical development of the last decades in a NATO perspective. At first recent conflicts and their initial mandate are narrated. 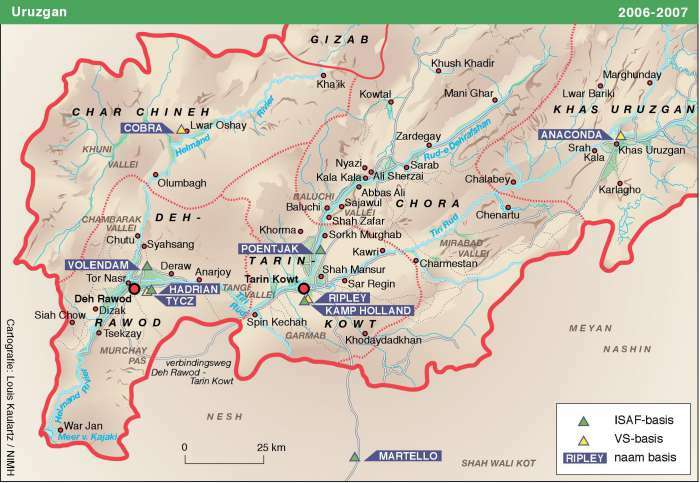 After that the Dutch involvement in Uruzgan (Afghanistan, see the map below) is described. Then the evolution in military medicine and the current challenges are raised. This article focuses on recent experiences in armed conflicts. In Uruzgan the involvement of the Dutch Armed Forces in fighting insurgents and nation building in a multinational coalition lasted four years. In the aftermath of the terrorist attacks of September 11, 2001, the United States of America (US) initiated the so-called Global War on Terror (GWOT) and deployed military units to multiple theatres in the Middle East and Southwest Asia. Starting as a more traditional type of warfare, with overwhelming firepower within the clear boundaries of one country, the GWOT slowly progressed into a counter-insurgency operation; an operation characterized by a blurring of the lines between war and politics, combatants and civilians. This modern type conflict is often referred to as new (fourth-generation) warfare and is characterized by traditional armed forces being challenged by non-state related insurgents that use unconventional combinations of lethal and non-lethal tactics that are extremely complex to neutralize. One of the distinguishing features of this type of conflict is the heavy use of improvised explosive devices (IEDs), causing a typical wounding pattern. This pattern, especially the anatomical distribution of this type of battle injuries (BIs), differs drastically from previous conflicts. One of the most striking examples of the maiming effect of IEDs is the so-called dismounted complex blast injury. Since 2001, over 10.000 coalition service members have been killed and over 50.000 were injured during the operations in Iraq and Afghanistan. Additionally, thousands of contractors, host-nationals, foreign national security personnel and insurgents have been injured or killed. The importance of describing the incidence and character of battle injuries, as well as their precipitating mechanisms, has been recognized since the 19th century. Since that time, many reports have been published. A comprehensive and thorough evaluation of the epidemiology and characteristics of modern times battle injuries is vital to improve future combat casualty care, in developing protective measures, in identifying risk factors and populations at risk, and in evaluating efficiency of delivered care. However, the development of reliable conclusions and recommendations requires the universal use of clear and unambiguous casualty definitions (see figure 1). Currently, there is very limited (medical) literature about recent Dutch participation in armed conflicts. Optimization of our military medical system is only possible with clear data and outcomes. This includes quality of life, cost-effectiveness and long-term follow up of service members. Therefore a thorough evaluation of the Dutch military medical system is required. Recently, the Netherlands Armed Forces have participated in two military missions: Operation Enduring Freedom and the International Security Assistance Force (ISAF) in Afghanistan. ISAF was authorized by United Nations Security Council resolution 1386 in December 2001. The Netherlands participated in ISAF with Task Force Uruzgan (TFU), and were lead nation in Uruzgan province between 2006 –2010. During that period, Dutch service members were frequently exposed to the devastating effects of IEDs. The main component of TFU was located at Multi National Base Tarin Kowt (MBTK), a second base was located at Deh Rawod. The Medical Support Organization in Southern Afghanistan during the ISAF operations, was a multinational joint service with a wide range of capabilities, delivering care in a hostile and austere environment (e.g. enemy threat, patient’s overall medical condition, evacuation timelines, availability of assets, qualifications / capabilities of medical personnel and prevailing tactical / weather conditions). The NATO Allied Joint Medical Support Doctrine (AJP-4.10) is the (flexible) capstone document on which the Medical Support Organization is based, but it is not an unchangeable holy doctrine. 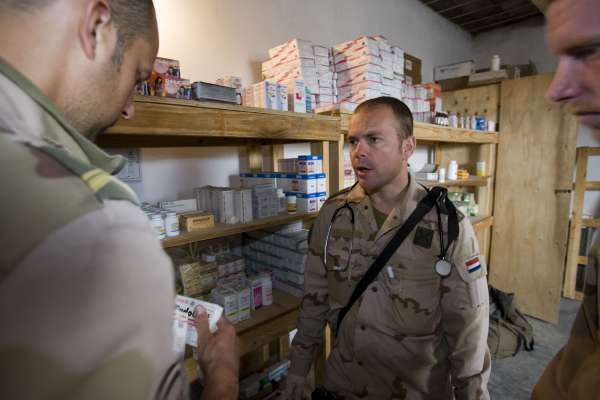 During the deployment of the Netherlands Armed Forces to Southern Afghanistan, the Medical Support Organization was adapted to the local situation in Uruzgan province. War has changed over centuries and armed conflicts will continue to change. Therefore, military medicine will continuously have to familiarize itself with new developments. The clouding lines between soldiers and civilians, states and non-states, and the obscuring differences between war and politics have changed the battlefields. True frontlines hardly exist any longer. When looking at numbers (without a robust trauma registry from the earlier armed conflicts), battlefield statistics have changed over the last century. The predominant mechanisms of injury are still explosions and gunshot wounds. Better personal protective equipment is likely to be an influential factor in the changing patterns of the anatomical distribution of those injuries. To overcome the gap between civilian and military medicine, many efforts have been undertaken. Frank Butler et al. introduced the Tactical Combat Casualty Care (TCCC) doctrine, which comprises a set of trauma management guidelines for use on the battlefield. The TCCC (also TC3) doctrine was first introduced in the US Special Operations community, but the conflicts in Iraq and Afghanistan have seen TCCC, or modifications (e.g. Battlefield Advanced Trauma Life Support principles), become the standard of military pre-hospital care in most NATO coalition forces. Numerous lifesaving materials, tools, protocols and courses (e.g. hemostatic dressings, tourniquet revival, massive transfusing protocol, damage control surgery courses) were developed. Apart from the direct medical effects of modern training doctrines, limiting transportation times is essential in improving survival rates of battle casualties. Improvements and modifications in dedicated rotary or fixed wing evacuation, combined with the mentioned current practices, have reduced mortality rates to far below 5 percent. The military surgeon plays a vital role in the initial care of a wounded service member and should be ready for this demanding task in the damage control surgery phase. It is conceivable that a ‘young’ military surgeon will deploy soon after completing civilian residency training, encountering complex combat injuries he is not familiar with, simply because they are rare in civilian trauma or are taken care of by a different type of (surgical) specialist. Regardless of (residency) sub-specialization, all Dutch military (trauma) surgeons complete their surgical training on civilian patients. Today there is no standardized (Dutch) military training program implemented, but it is gradually developing based on our recent experiences. Military medicine is a continually evolving specialization; all efforts should be given for optimization. 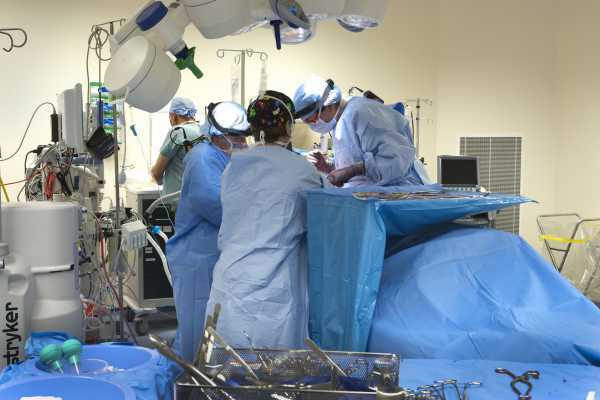 The on-going struggle to find a ‘full fit’ curriculum for military medical service members might resemble the search for ‘the holy grail’, and the cost of such an extensive surgical training program may outweigh the benefits. There is, however, a strong analogy with disaster medicine and surgery. Collaboration of disaster and military medicine could, therefore, potentially be useful. This may imply changes in the training that military and civilian organizations offer to military medical personnel. Possible solutions in training of military surgeons are: standardized courses, exchange/ fellowship programs, the deployment of surgical residents as part of their medical specialist training, staged classification of military surgeons, the introduction of a NATO military (and disaster) surgery standard and the recognition of military surgery as a subspecialty within general (trauma) surgery. Experiences from these modern time conflicts have enormously contributed to changes in modern civilian (trauma) care. The Joint Trauma System (JTS) Clinical Practice Guidelines found their origin in military medicine and are frequently implemented in customized or adjusted form in civilian protocols. The revival of the tourniquet and the use of so called massive transfusion protocols found their basis on the battlefields of Iraq and Afghanistan. As said, military medicine needs to follow conflicts. It needs to adapt effectively to new threats and developments, like the introduction of Improvised Explosive Devices or ‘dirty’ bombs. It needs to adjust its modus operandi constantly and swiftly. And, in recent years, military medicine did adapt, resulting in the lowest case fatality rates ever. Military medicine covers a large area of interest, including battlefield related medical and surgical acute interventions, but also the physical and psychological wellbeing of service members during and after their deployment. Preferably there should be scientific evidence for interventions applied and consequently research in military medicine is essential. Detailed analyses can be converted into new doctrines, practices and management guidelines. However, for simple practical reasons, like getting a victim’s informed consent, it is difficult to do even basic prospective studies, let alone to conduct multicenter, randomized pre-hospital and clinical trials in actual areas of military operations. Many, if not all, published battlefield studies are therefore descriptive and or retrospective in nature. Hence, the obtainable levels of evidence are limited. Yet, if we want to further improve the quality of care for wounded service members, we need to find ways to overcome that gap between military and civilian medicine. Till then, we will have to learn as much as possible from recent experiences in war-zones and introduce these observations in doctrines and training courses. Knowledge of the management of war-zone injuries is also valuable in treating casualties from natural disasters or (terrorist) mass casualty situations. Studying the changing anatomical distributions of war injuries might help in developing lifesaving materials and better protective equipment. To date, only a few prospective battlefield studies  (with a high level of evidence) have been conducted. The PRISMO study  is a fine example of Dutch modern research, and might help us to disentangle factors of relevance in Post-Traumatic Stress Disorder. Therefore, in order to collect data and draw meaningful conclusions, also regarding quality of life and cost-effectiveness, a detailed registration system of interventions on BCs should be used. Attention for team interaction is crucial for this high stress environment. Crew resource management is more and more finding its place in civilian and military medicine. This effective tool in teamwork should be exploited for maximal profit. Despite the evolving technical capabilities of modern mechanized or automated elements like drones, human ‘boots on the ground’ will likely remain crucial in future armed conflicts. The important role of co-combatants and a strong social support network cannot be overemphasized. Their early active involvement in the rehabilitation process will be beneficial for everyone. The recent wounded warrior symposium in Amsterdam shows the need for multidimensional and integral care. Optimizing the treatment of BCs goes beyond the Medical Support Organization, early active involvement of ‘buddies’, tactical commanders and family after a combat incident will be beneficial for everyone. A fully integral approach in the Netherlands Armed Forces is required. Our recent experiences in Afghanistan provide a perspective on combat casualties. This perspective focuses on the short and long term effects of injuries sustained by a service member, but also on the impact of these injuries and their consequences on his comrades and his social network. Regardless of the evolving technical capabilities of modern mechanized or automated elements (e.g. drones and robots, singularity), human ‘boots on the ground’ will remain crucial in future combat. Today’s civilian medicine, characterized by increasing costs, raising patient awareness and growing legal concerns, urges health care facilities and medical professionals to obtain and provide detailed insight in quality of provided care. The introduction of numerous expensive diagnostic modalities and therapeutic strategies urges individual physicians and health care facilities to evaluate efficacy and accuracy of the care delivered. This insight in quality of provided care can be used to detect shortcomings and to initiate new scientific studies. Furthermore, monitoring provided care increases transparency for physicians, hospitals and patients, and can be used to evaluate financial aspects. These analyses are difficult to conduct in military medicine and often lacking. Partially driven by the increase in welfare, value and quality of life, an increased attention for this topic is coming from military, medical, economic and political points of view. The recently published thesis by the author recognizes, and aims to enhance, the quality of the short and long term care of service members that perform their (national) duties in the Netherlands Armed Forces. Military medicine is a continually evolving process; all efforts should be exerted for optimization. The integration of prospective studies will enhance the quality of lessons learned from each armed conflict. If the suggestions reported in this article could help to improve the quality of the Medical Support Organization, the training of medical and non-medical personnel, and the quality of life of all involved by more than one percent, we have achieved our aim. Current civilian resident training does not provide in the minimally required competences of a military surgeon. This gap will only grow due to the ongoing ‘super’ specialization and the loss of the true general surgeon. Not many surgeons will be exposed to, and capable of dealing with, ossal, vascular and truncal injuries. We should anticipate on this development, several possible solutions were discussed in this article. The changes in the way armed conflicts are fought, brought us to the new warfare. In the coming decades the distinction between a war theater and a civilian setting might blur even more, changing into the fifth generation of warfare. This implies that new skills and competences should be integrated in military and civilian medicine. * After finishing medical school, Lieutenant Commander Rigo Hoencamp MD PhD served for more than five years as a platoon commander in the Royal Netherlands Marine Corps. In that position he deployed to Uruzgan. Last year he defended his thesis on an analysis of the medical aspects of Task Force Uruzgan. Besides a trauma-vascular surgeon, he is currently an active reservist for the Dutch Ministry of Defense. The comings years he will focus on improvements and innovation of the military medical chain. 1 Morice A. Le service de santé pendat la bataille de Caen. Memoires de l’Académie de Chirurgie. 1945;14. 2 Beekley AC, Watts DM. Combat trauma experience with the United States Army 102nd Forward Surgical Team in Afghanistan. Am J Surg. 2004;187:652-654. 11. Hoencamp. R., Huizinga, E.P., Dongen, T.T.C.F., van, Idenburg, F.J., Ramasamy, A., Leenen, L.P.H., Hamming, J.F., Impact of explosive devices in modern armed conflicts: in-depth analysis of Dutch battle casualties in Southern Afghanistan. World J Surg. 2014 Oct;38(10):2551-7. doi: 10.1007/s00268-014-2645-5. 3 Holloway, D., 9/11 and the War on Terror. Mcgill Queens Univ Pr. Montreal. 2008. Bergen, P.L., The Longest War: The Enduring Conflict between America and Al-Qaeda. Free Press. New York, 2011. Buckley, M., The Bush Doctrine and the War on Terrorism: Global Reactions, Global Consequences. Routledge. New York, 200. 4 Andersen, R.C., Fleming, M., Forsberg, J.A., Gordon, W.T., Nanos, G.P., Charlton, M.T., Ficke, J.R., Dismounted Complex Blast Injury. J Surg Orthop Adv;2012;21(1):2-7. Hoencamp. R., Huizinga, E.P., Dongen, T.T.C.F., van, Idenburg, F.J., Ramasamy, A., Leenen, L.P.H., Hamming, J.F., Impact of explosive devices in modern armed conflicts: in-depth analysis of Dutch battle casualties in Southern Afghanistan. World J Surg. 2014 Oct; 38 (10):2551-7. doi: 10.1007/s00268-014-2645-5. 5 Andersen, R.C., Fleming, M., Forsberg, J.A., Gordon, W.T., Nanos, G.P., Charlton, M.T., Ficke, J.R., Dismounted Complex Blast Injury. J Surg Orthop Adv; 2012; 21 (1):2-7. 6 Hoencamp, R., Vermetten, H.G.J.M., Tan, E.C.T.H., Putter, H., Leenen, L.P.H., Hamming, J.F., Systematic review of the prevalence and characteristics of Battle Casualties from NATO coalition forces in Iraq and Afghanistan. Injury. 2014;45:1028-1034. DOI:10.1016/j.injury.2014.02.012. 7 Gawande, A., Casualties of war-military care for the wounded from Iraq and Afghanistan. N Engl J Med. 2004;351:2471-2475. 8 DoD directive. Efforts and programs of the department of defense related to the prevention, mitigation, and treatment of blast injuries. The NATO Allied Joint Medical Support Doctrine. Zie: https://www.shape.nato.int/medical-support/publications. 9 Www.un.org/News/Press/docs/2001/sc7248.doc.html. Accessed 14 August 2014. 10 Hoencamp. R., Huizinga, E.P., Dongen, T.T.C.F., van, Idenburg, F.J., Ramasamy, A., Leenen, L.P.H., Hamming, J.F., Impact of explosive devices in modern armed conflicts: in-depth analysis of Dutch battle casualties in Southern Afghanistan. World J Surg. 2014 Oct;38 (10): 2551-7. doi: 10.1007/s00268-014-2645-5. 11 The NATO Allied Joint Medical Support Doctrine. 12 Morice, A., Le service de santé pendat la bataille de Caen. Memoires de l’Académie de Chirurgie. 1945; 14. Gawande, A., Casualties of war-military care for the wounded from Iraq and Afghanistan. N Engl J Med. 2004;351:2471-2475. Buckley, M., The Bush Doctrine and the War on Terrorism: Global Reactions, Global Consequences. Routledge. New York, 2006. 13 Gawande, A., Casualties of war-military care for the wounded from Iraq and Afghanistan. N Engl J Med. 2004;351:2471-2475. Beckett, A., Tien, H., What’s new in operative trauma surgery in the last 10 years. Curr Opin Crit Care. 2013; 19 (6):599-604. DOI: 10.1097/MCC.0000000000000033. LNAZ. Traumazorg in Beeld: Landelijke Traumaregistratie 2007–2011: rapportage Nederland. Tilburg: LNAZ; 2013. Central Bureau of Statistics of the Netherlands. Causes of death; non-natural deaths. Available at http://statline.cbs.nl/StatWeb/publication/?DM=SLNL&PA=37683&D1=2-103&D2.... Bruinsma, M.Y., Moors, J.A., Illegale vuurwapens. Gebruik, bezit en handel in Nederland 2001–2003. Tilburg/Den Haag: IVA Beleidsonderzoek en advies/WODC (Ministerie van justitie); 2005. 14 Butler, F.K., Tactical medicine training for SEAL mission commanders. Mil Med. 2001; 166:625– 631.Butler, F.K. Jr, Hagmann, J.H., Richards, D.T., Tactical management of urban warfare casualties in specialoperations. Mil Med. 2000; 165:1– 48. 15 Clarke, J.E., Davis, P.R., Medical evacuation and triage of combat casualties in Helmand Province, Afghanistan: October 2010-April 2011. Mil Med. 2012; 177:1261-1266. 16 Vermetten, E., Greenberg, N., Boeschoten, M.A., Delahaije, R., Jetly, R., Castro, C., McFarlane, A.C., Deploymentrelated mental health support: comparative analysis of NATO and allied ISAF partners. Eur J Psychotraumatol. 2014; 5:23732. http://dx.doi.org/10.3402/ejpt.v5.23732. 17 Www.usaisr.amedd.army.mil/clinical_practice_guidelines.html. Accessed 15 May 2014. 18 Hooper, T.J., Nadler, R., Badloe, J., Butler, F.K., Glassberg, E., 1. Implementation and execution of military forward resuscitation programs. Shock. 2014;41 Suppl 1:90-7. DOI: 10.1097/SHK.0000000000000081.bPassos, E., Dingley, B., Smith, A., Engels, P.T., Ball, C.G., Faidi, S., Nathens, A., Tien, H., Canadian Trauma Trials Collaborative. Tourniquet use for peripheral vascular injuries in the civilian setting. Injury. 2014 Mar; 45 (3):573-7. DOI:10.1016/j.injury.2013.11.031.Butler, F.K. Jr, Hagmann, J., Butler, E.G., Tactical combat casualty care in special operations. Mil Med 1996; 161(suppl) 3–16. 19 Bellamy, R.F., Zajtchuk, R., ‘Assessing the effectiveness of conventional weapons’. In: Textbook of Military Medicine, Part I: Warfare, Weaponry, and the Casualty, Zajtchuk, R., ed. Vol. 5, Conventional Warfare: Ballistic, Blast, and Burn Injuries. Washington, DC: Office of the Surgeon General, Department of the Army, United States of America; 1991:53– 82.Beebe, G.W., DeBakey, M.E., ‘Death from wounding’. In: Battle Casualties. Springfield, IL: Charles C. Thomas; 1952:74 –147. Reister, F.A., Battle Casualties and Medical Statistics: U.S. Army Experience in the Korean War. Washington, DC: The Surgeon General, Department of the Army; 1973. Hardaway, R.M., Viet Nam wound analysis. J Trauma. 1978; 18:635– 643. Hoencamp, R., Vermetten, H.G.J.M., Tan, E.C.T.H., Putter, H., Leenen, L.P.H., Hamming, J.F., Systematic review of the prevalence and characteristics of Battle Casualties from NATO coalition forces in Iraq and Afghanistan. Injury. 2014;45:1028-1034. DOI:10.1016/j.injury.2014.02.012. 20 Caterson, E.J., Carty, M.J., Weaver, M.J., Holt, E.F., Boston bombings: a surgical view of lessons learned from combat casualty care and the applicability to Boston’s terrorist attack. J. Craniofac Surg. 2013 Jul; 24(4):1061-7. DOI:10.1097/SCS.0b013e31829ff96. 21 Aoun, O., Roqueplo, C., Rapp, C., Spectrum and impact of health problems during deployment: A prospective, multicenter study of French soldiers operating in Afghanistan, Lebanon and Côte d’Ivoire. Travel Med Infect Dis. 2014; 12 (4): 378-84. DOI:10.1016/j.tmaid.2014.05.002.Mac Donald, C.L., Johnson, A.M., Wierzechowski, L., Kassner, E., Stewart, T., Nelson, E.C., Werner, N.J., Zonies, D., Oh, J., Fang, R., Brody, D.L., Prospectively Assessed Clinical Outcomes in Concussive Blast vs Nonblast Traumatic Brain Injury Among Evacuated US Military Personnel. JAMA Neurol. 2014; 71 (8): 994-1002. DOI:10.1001/ jamaneurol.2014.1114. Porta, C.R., Robins, R., Eastridge, B., Holcomb, J., Schreiber, M., Martin, M., The hidden war: humanitarian surgery in a combat zone. Am J Surg. 2014;207(5):766-72. DOI:10.1016/j.amjsurg.2013.12.027. 22 PRISMO Group. http://www.prismo.nl/. Accessed 15 May 2014.